Can you believe that Valentine’s Day is just around the corner? I never leave Chuy out of the holiday fun and always get him a little something. Of course I show my love for him all year round, but I love holidays and all the festive decorations. 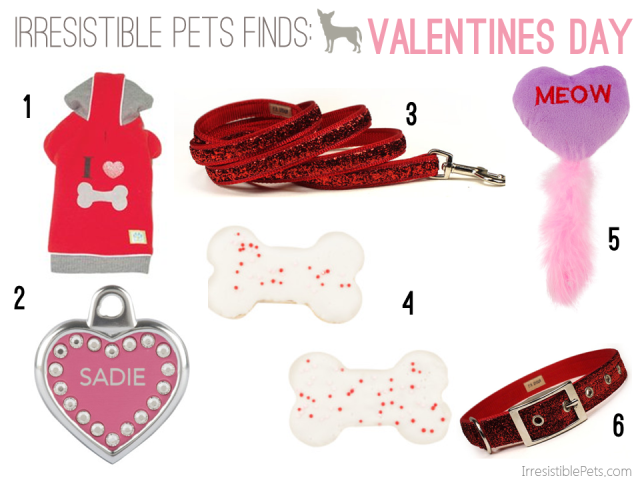 I have searched all around the internet to find a few Valentine’s Day pet gift ideas just for you! I think these all make irresistible gifts and your pet will too! Feeling crafty? Check out my DIY Valentine’s Day Pup Cake Recipe and my DIY Valentine’s Day Dog Toy tutorial. Remember that chocolate is extremely dangerous for pets and you should only feed them pet friendly treats. Keep your pet safe with our Valentine’s Day Pet Safety Tips. 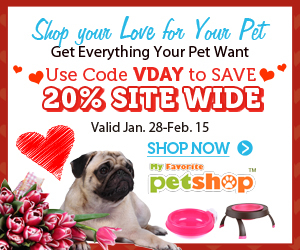 Are you planning on getting your Irresistible Pet a Valentine’s Day gift? Leave us a comment below and tell us all about it! « Chuy Chihuahua’s Snow Day Adventures! I love the sparkly leash and collar! So fashionable! Right?! I need that in my life! My BabyCakes would love that hoodie!! our Frodo is a wonder Chihuahua. Diagnosed with leg cancer almost three years. Instead of having his leg removed we decided to take him to Tustin, CA Cancer Center. After 20 radiation treatments, he has been cancer free. The hair on his leg will never grow back but his love for my husband and I makes one of the toughest decisions in our lives a blessing that we made it right with the Lord’s help.